Kinney Wealth | Mark Kinney | Kinney Wealth | » Sometimes Cash Is Your Best Option…Like Now. Sometimes Cash Is Your Best Option…Like Now. Not long ago, I was cited on CNN.com as saying “sometimes moving to a cash position in a forecast down market is the only thing to do”. Mind you, we’re not talking about attempting to “time the market”, but rather simply stepping aside from the extreme noise and volatility of the downward momentum, rather than participating in it. Its clear markets are struggling for a direction. However, in the low interest rate environment we’re currently experiencing, with the 10 yr treasury paying only 2.05%, is cash still an option? Given some of our country’s most elite institutional private wealth managers – responsible for overseeing billions in pension plans, foundations, and endowments – have either gone 100% to cash, or at least significantly increased their exposure to it….yes, I believe it is. Why is that? Let’s take a brief look, then you can decide for yourself. A quick note – if you’re in the enviable position of still accumulating assets, with several decades between you and retirement, this may not be for you as volatility can be your friend. However, if you’re approaching retirement with accumulated assets, and not in a position to endure another prolonged market downturn like 2000 – ’02, or 2008 – ‘09, you may want to keep reading. Without getting too technical, I’d like to share with you some key underlying fundamentals I pay particular attention to – as should you – especially when they begin to converge like they are now. A review of over 200 years of market history reveals markets swing between periods of exceptional and negative returns, each lasting on average about 18 – 20 years. Given our current negative trend is just 15 years young, history would suggest it still has some legs. Additionally, since 1900 we’ve had approximately 22 recessionary periods, with one occurring about every 5-6 years. As we enter the fourth quarter of the 7th year since our last decline in 2008, we’re rather long in the tooth, and certainly overdue. For anyone that’s had an IRA for any length of time, you’re likely familiar with the term “PE Ratio”. However, if you’ve been busy working, playing and raising a family rather than reading the stock pages – as you should’ve been – it’s simply the price (P) you pay for every dollar of earnings (E). Each stock and market index has one. While there are many models, the most preferred is known as the “Shiller PE”, established by Professor Robert Shiller at Yale University. I say preferred, as it’s been an exceptionally accurate indicator for those attempting to determine the general direction of the markets. Extremely low P/E ratios beget many years of above average performance (1948,1982). Extremely high P/E ratios beget many years of below average performance (1929,1966, 2000). Furthermore, we know that historically, before a true profit run in the market can occur, the ratio must be at or below 10. Currently the Shiller P/E is at 24. So in order for us to get below 10, either earnings will need to dramatically increase overnight, or stock prices will have to fall significantly. Which do you think is most likely? Now we’re really getting to the guts of it. At the risk of exposing a bit of my nerdy side, if I haven’t already, I want to share with you what I feel are two of the loudest indicators of trouble ahead. 200 Day Average. – Historically, when the markets cross below their 200 day moving average, as the S&P did in late August, volatility doubles. Hence the extreme movements of the last month. These types of noisy, highly volatile, extreme movements in the market, (both up and down) are textbook historical indicators of a transition to a negative trend. When you combine this with the next item, it’s time to sit up and take notice. Divergent Trends. – I promise, this is as nerdy as we get. Stay with me, I’m about to bring it in for a landing. 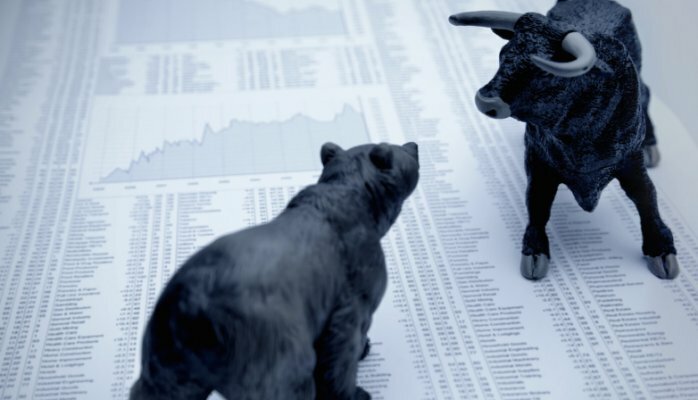 Typically during rising markets, there are two indexes that run in alignment with each other – the S&P 500 and the Barclays U.S. Corp High Yield Index. However recently, there was a divergence when the Barclays US Corp. High Yield Index flattened out, yet the S&P 500 continued to climb. So why is this significant? While past performance is never a guarantee of future results, the last 2 times this occurred was the late 1990’s and mid 2007. As we know, both of those dates were followed by severe and prolonged declines. Actually Carl Icahn, one of Wall Street’s most notable professional investors, recently called attention to this in his newly released video “Danger Ahead”. I promised you a landing, so here it is. With all we’ve just discussed, maintaining the status quo in a traditional “buy and hold”, modern portfolio theory allocation may not be in your best interest – especially if you’re near retirement with accumulated assets. While you could certainly take some risk off the table by simply moving some or all of your account to cash…the question remains, how and when do you get back in? Or, you can do as the big guys do….employ “tactical managers” that utilize quantitative algorithms to monitor the items I mentioned above…and much, much more. As such, they’ve had an impressive history of recognizing and exploiting negative trends, rather than passively participating in them. One of their methods – going “risk off” to cash when warranted…like now. SO IN CONCLUSION – When you have a convergence of history suggesting we’re long overdue for a correction, one of the most reliable valuation models indicating we’re significantly over priced, and the reemergence of alarming trends that haven’t existed since before our last 2 declines ….maybe it is time to revisit how to effectively employ cash as a viable position after all. WATCH this short, easy to understand video revealing a “done for you” solution. As the founder of Toole Kinney & Company, his focus is as it’s been since 1987 – maximizing client retirement income in a sustainable, repeatable, and verifiable manner, while minimizing risk exposure to the daily turbulent financial markets through the use of highly disciplined quantitative strategies.